Speak Asia Online, is being investigated by Mumbai police while the Union government is mulling a serious fraud probe into its affairs.Authorities woke up after critics and investors of Speak Asia‘s consumer survey-based business model smelt in it a “Ponzi scheme. The government may ask the Serious Frauds Investigation Office (SFIO) to probe Speak Asia. “Our officers are examining the details and it is a very sensitive matter involving lakhs of investors,” corporate affairs minister Murli Deora. The catch is that consumer surveys taken by the panel members have no clear or apparent end-user and the company has no business-linked revenue stream yet, though some big corporate names such as ICICI and Nestle have been talked about. Harender Kaur, a Singapore national, is the chairperson and CEO of the family-run Speak Asia. The company, which started in India in January 2010, denies any wrongdoing and cites upcoming business revenues to justify its legitimacy. The company showed $80 million (R360 crore) in revenues in the first year. However, almost $60 million of this were commissions earned from ‘Service Today’ – an online magazine to which members earn subscription as part of their R11,000 membership. Considering that The Economist, an upscale global weekly magazine, charges R 5,000 for a full-year’s subscription, this online subscription is under a cloud. While earning $80 million in revenues, SAOL paid back $52 million to its members – and by inference, new members are paying for the old ones. But the company claims that its revenue streams include fees from data exchanges for the content it creates, apart from advertisements. Manoj Kumar, India CEO for the company, told that firm was not involved in any illegal activity. 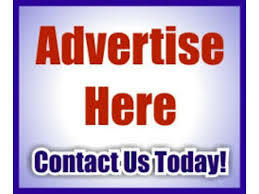 “We receive commissions on the magazine sales as the sales go up because of us. It amounts to around 60 million out of the $80 million. (Another) $18 million we got from marketing services where we give our database to various exchanges such as Apine and Cint,” he said. Product sales were expected through a rewards points scheme through an entity called “Gen X Bazar,” he added. However, on Tuesday Kirit Somaiya, a former member of parliament and president of the Investors Grievance Forum (IGF), filed a complaint alleging fraud against SAOL with the economic office wing of the Mumbai police, alleging SAOL was a fly-by-night operation. “We are compliant with all laws of Singapore and there is no case pending against it or its top management, either in India or in any other country,” Kumar said, denying a charge by Somaiya. The RBI, while does not regulate deposits by multi- level marketing schemes, is concerned though it has no jurisdiction over multi-level marketing companies. CEO Kumar said the company had applied to RBI to open its first office in India and had also paid R68 crore to Indian authorities until April 30 this year. SAOL’s investor-workers are a worried lot. Kumar said Speak Asia did conduct surveys about Nestle, ICICI Bank and Airtel “at different points of time for specific purposes” but not directly. “We simply offer databases to various market research aggregators and exchanges who in turn use our panels for various purposes,” he added.